During the launch of the Windows 10 Operating system, the bugs which were present in the earlier versions of the operating system has created some issues in the operating system. But the Windows 10 operating system is highly compatible with the MS Outlook 2016 and still there are many issues and errors that Outlook users have to face. So, one of those errors which are common and the users come across is the emails being deleted in Outlook 2016 automatically. 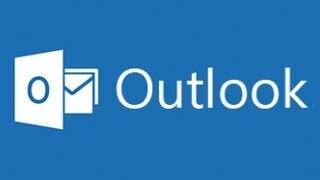 Automatic deletion of emails in Outlook 2016 is considered as the case in which the emails are moved automatically to the deleted items folder. This error also takes place when the user has utilized the ignore feature in MS Outlook. The Ignore feature is available in MS Outlook 2010 and later versions. When it is enabled it moves the emails to the Deleted Items Folder automatically. The option keeps the track of all the email messages which are related to the same email thread. First, open the MS Outlook application and then select Deleted Items. Now select the email message on which the Ignore option has been set. First, select the Home tab and then click on Ignore tab. Now in the Prompt bar select the option Stop Ignoring Conversations. After successfully completing all the above-mentioned steps. All the deleted messages are restored back to the original folder where they have previously existed. In addition to this, the users can prevent the emails from being deleted automatically in the MS Outlook 2016 while upgrading the operating system to Windows 10. MS Outlook email client is one of the most used email clients in today’s modern organization. But there are times when the users who were using the Outlook 2016 in Windows 10 operating system their emails were being deleted automatically without their consent. The reason why the emails were getting deleted is that the Ignore option was enabled in Outlook which was moving the emails to the deleted folders. So, in the above sections, we discussed the methods and solutions to counter this problem easily. We hope that this might help the users in getting rid of this Emails Being Deleted in Outlook problem.